Behind the men who shaped history are the heroes who forever changed it. 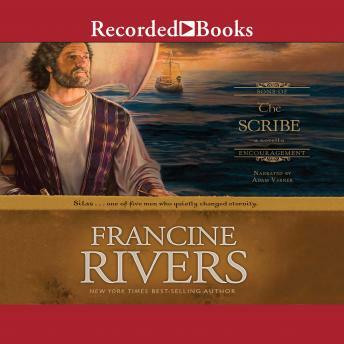 The Scribe, the fifth and final book in the Sons of Encouragement series, beloved author Francine Rivers illuminates the life of Silas. Like the other Sons of Encouragement, this book tells the story of a lesser-known biblical character who made an impact on eternity. The Scribe tells the story of Silas, the man behind the spotlight who recorded most of the New Testament Scriptures we read today. In classic Francine Rivers style the story lets readers grasp the Scriptures in a whole new lightfrom a perspective never before imagined. Along the way readers will be captivated by the growth of the early church and the trials Paul suffers before he is martyred for the cause of Christ.